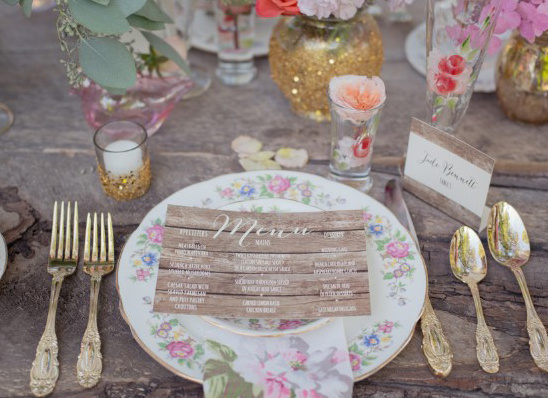 Jade and Finn’s rustic shabby chic outdoor wedding ideas came from the growing trend, and want, for a beautiful and unique wedding but with a more approachable setting and feel. 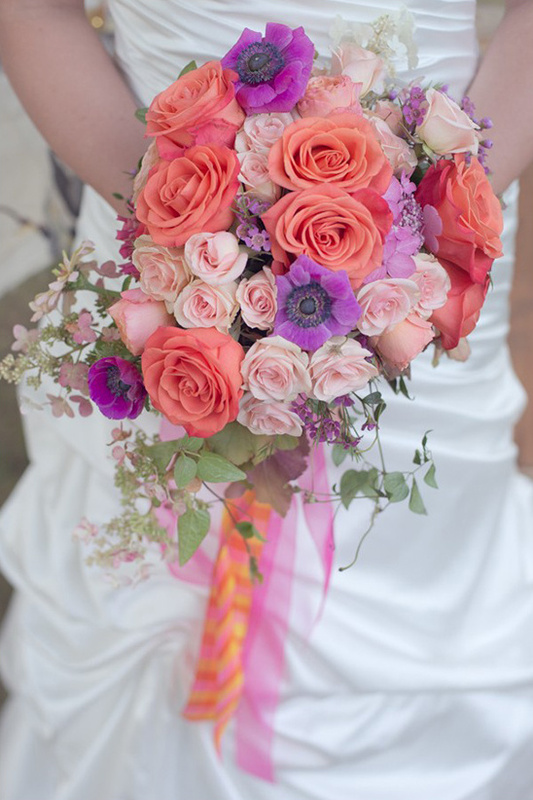 The color palette was full of bright and bold pinks and oranges that really stood apart from all the natural greenery. 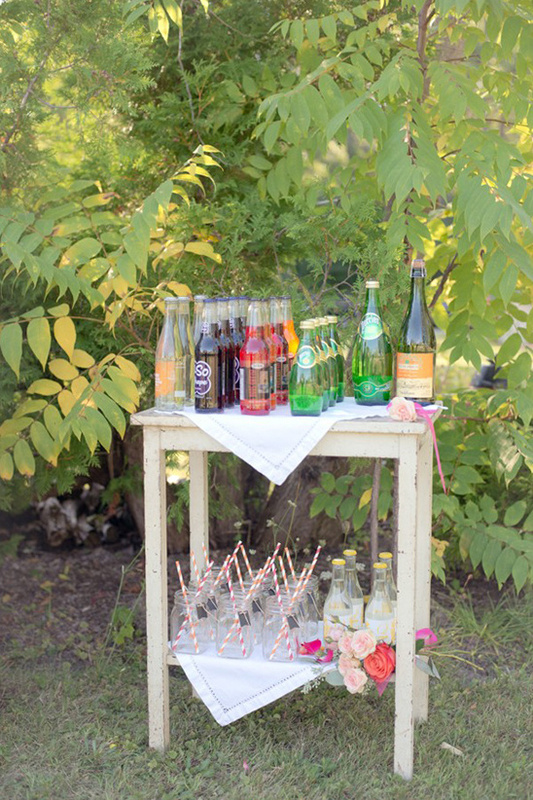 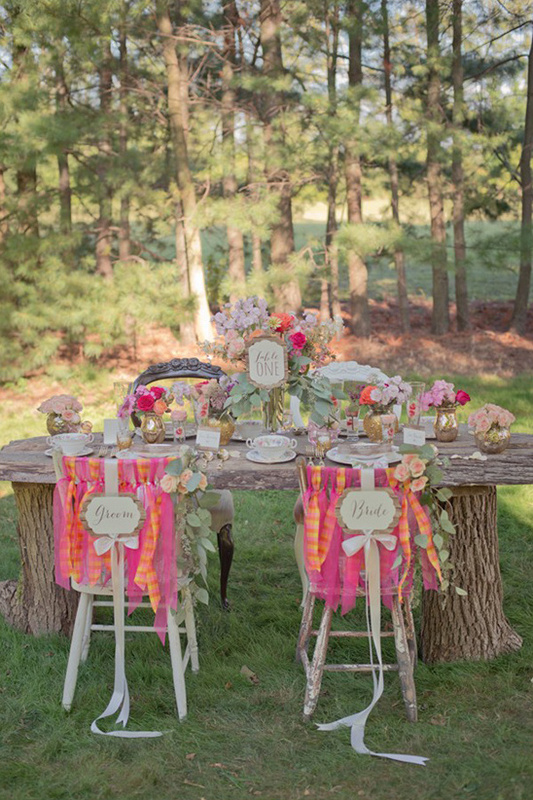 Naked wood pieces lend the day a natural and DIY feel, perfect for any backyard wedding. 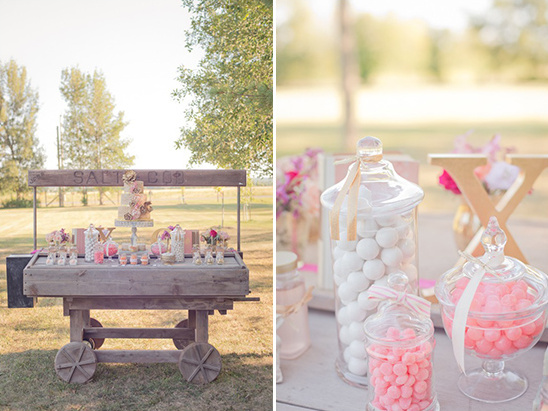 Prepare yourself for some gorgeous details and steal-worthy ideas from this colorful intimate Canada wedding in the full gallery here, captured by Sugar Photo Studios. 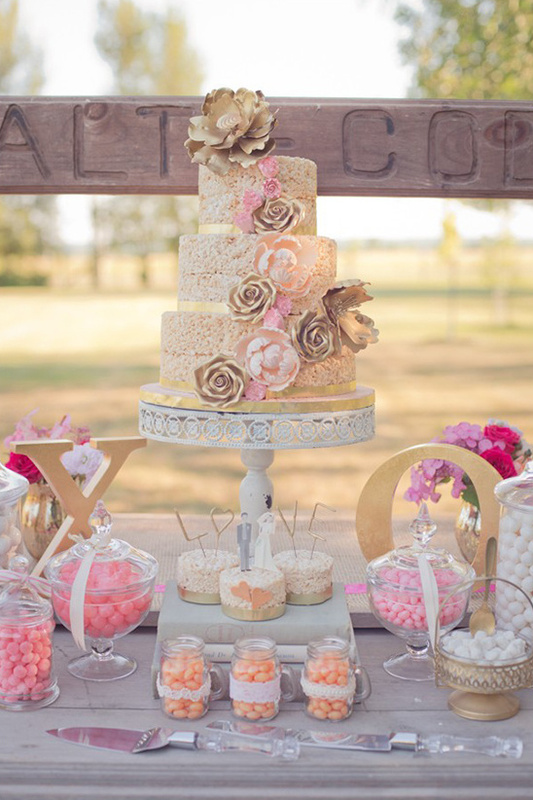 It is intended for the couples who truly want to celebrate their love with their nearest and dearest, in a setting that emphasizes their love. 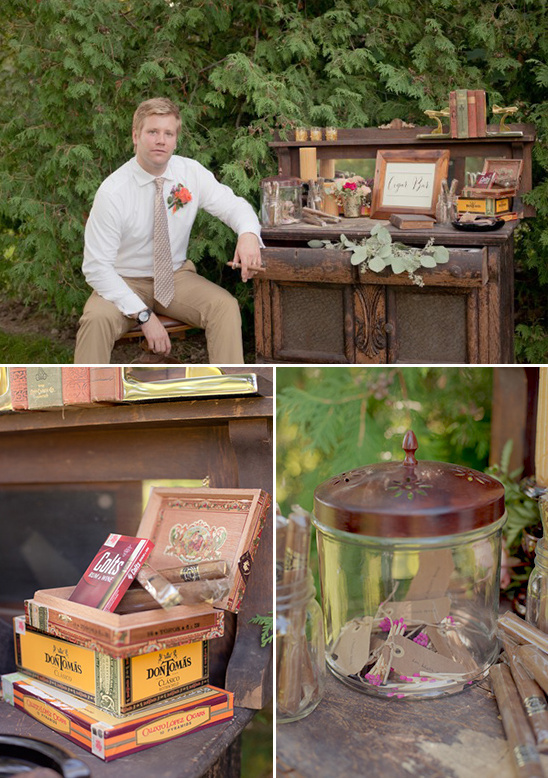 To create this, we chose a forested backyard scene to display our whimsical altar, cigar bar, beverage station, candy buffet and reception. 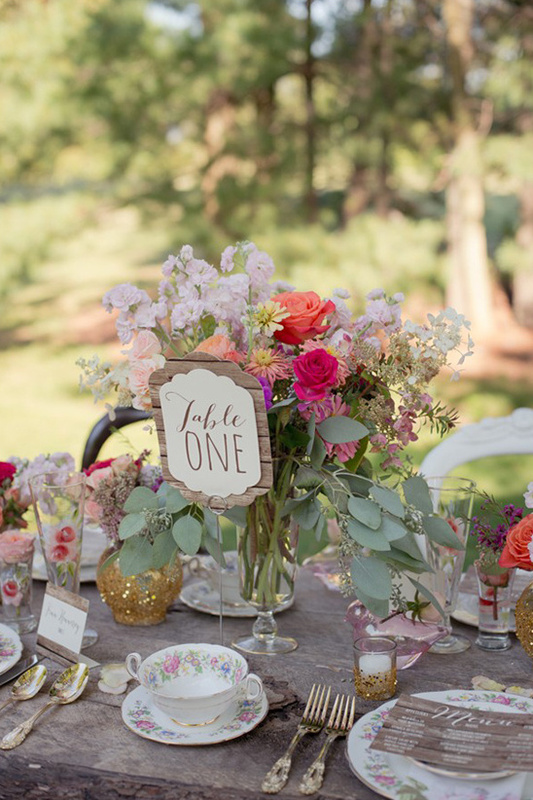 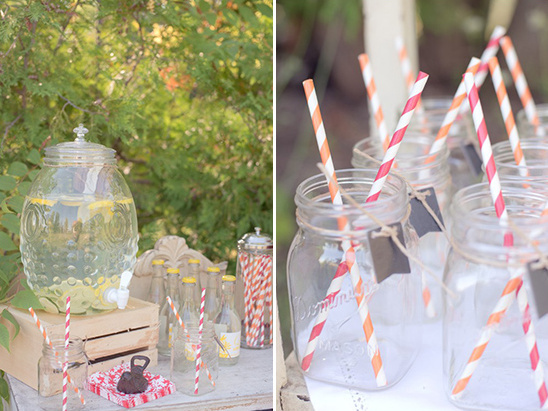 For our decor, we chose vibrant and fun colors that go hand-in-hand with the fun and upbeat feel of the wedding! 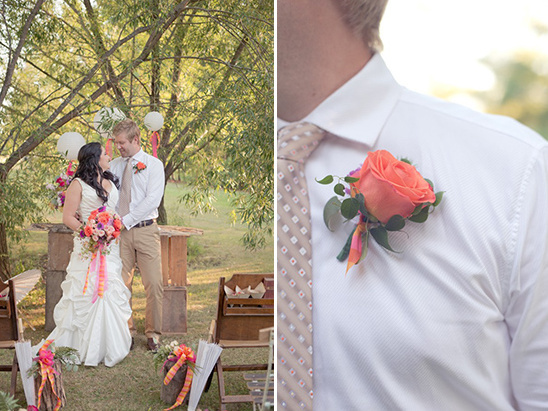 The wedding took place in a 3 acre 'backyard' in Niagara-on-the-Lake, Ontario, Canada's famous wine country, during our warmer months. 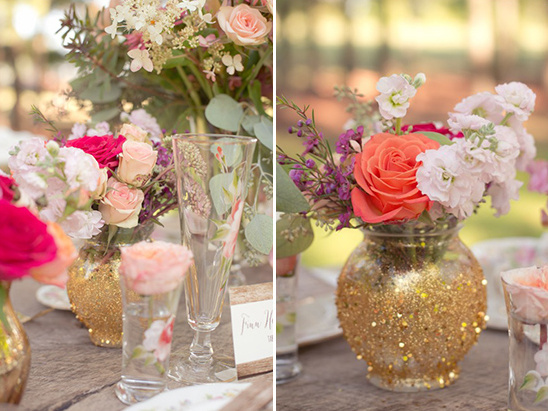 Pinks, Oranges and purple accented by gold adorn the scenery. 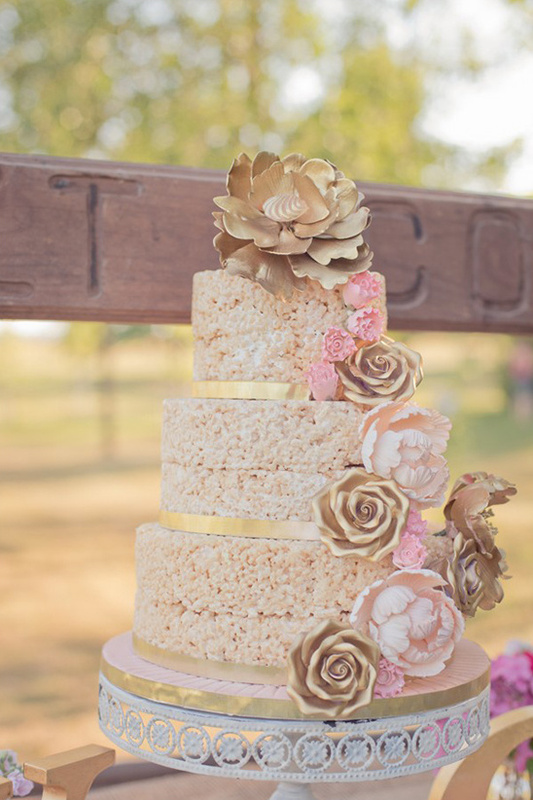 The drool-worthy menu is made up of cutesy and yummy food items, complete with a rice krispie wedding cake! 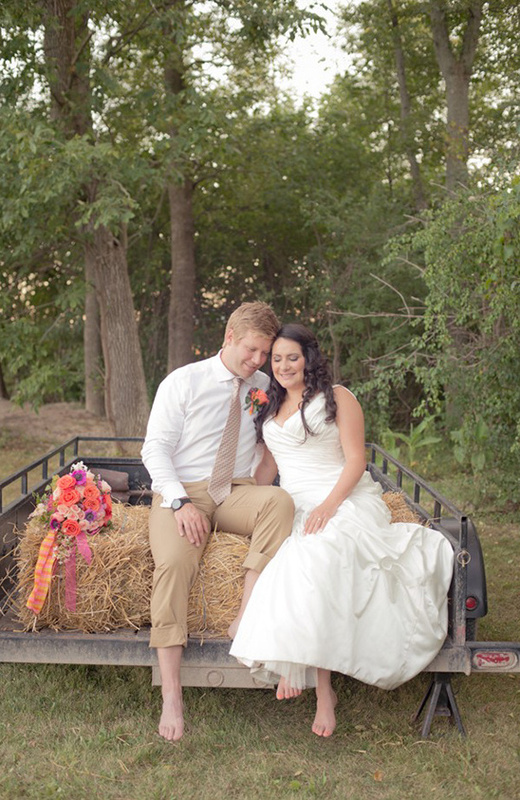 Our bride and groom are dressed to compliment the style of wedding, upscale yet casual.